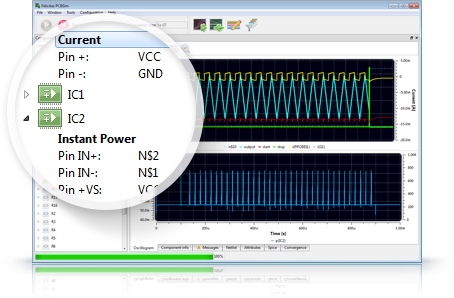 Work directly from the schematic of CadSoft EAGLE or Altium Designer (coming soon). A single button starts the simulation. 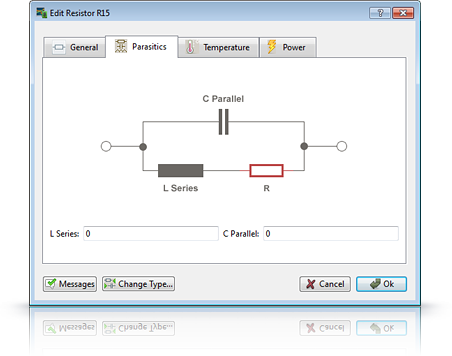 Access simulation properties directly from your schematic. No need to learn yet another schematic entry! User-friendly dialogs opens for each type of component. Take care of your circuit, not of cryptic Spice syntax! Directly display voltages, currents, instant and average power. All data are available to fly your circuit! Qualify your circuit or component with a DC- sweep. Check filters and amplifiers with a frequency scan. Apply simulation power as you need! Design and simulate transmission lines easily! Import 3rd party’s models automatically from other Spice syntax variants. Smoothly integrate them into your simulation. Directly use IBIS models for simulation. 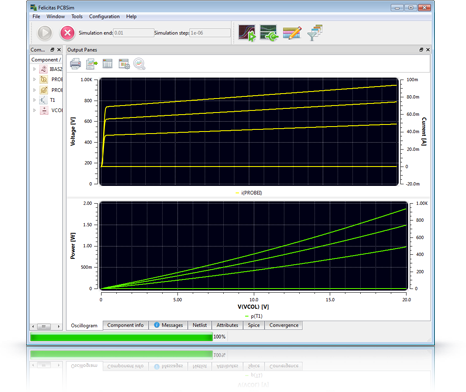 Felicitas PCBSim is a complete time domain based circuit simulator which includes special extensions for Signal Integrity. It covers the frequency range from DC to approximately 100GHz (depending on material properties). The core and basis of Felicitas PCBSim is a complete Spice simulator which handles all standard components and which is able to use many of the available Spice models from different vendors. 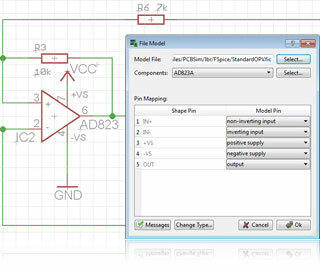 Felicitas PCBSim works directly from the schematic of supported CAD tools. In fact, it does not even have a schematic editor of its own. 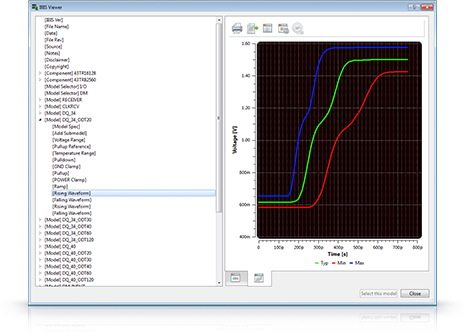 All simulation specific properties are directly accessed from the schematic editor. We offer the best integration on the market for CadSoft EAGLE. Which geometries should be used for the transmission lines? How should the signals be terminated? Will the design work with the intended topology, sockets, ICs and termination networks? Therefore Felicitas PCBSim allows the circuit designer to give detailed input to the layout engineer. It allows you to get your design right the first time. 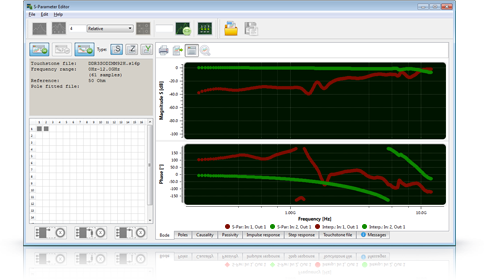 The Demo Version does include all Standard-Simulation and all three Signal-Integrity Modules. It is sufficient for demonstration purposes, but not for commercial use. Felicitas PCBSim includes a complete SPICE engine. 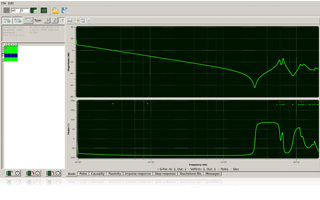 It has been enhanced by special functions which support direct simulation of transfer functions and of IBIS io buffers. All components and nets of the schematic are clearly arranged in a tree view. FSpice is an integral part of Felicitas PCBSim and is included into each available package. PCBSim has a well defined interface to external schematic tools. This interface is currently implemented with CadSoft EAGLE, other are planned. 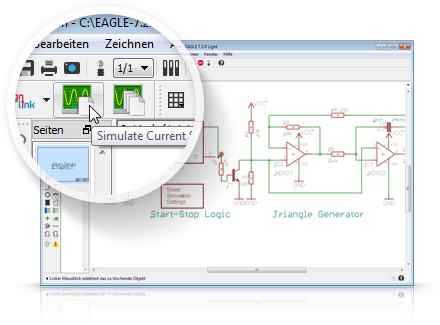 Felicitas PCBSim is activated with the context menu and supplies user friendly dialogs for editing transmission lines, s-parameter,- or IBIS models. All parameters of a simulation are stored within the schematic. Other than the simulation models and the schematic, no additional files are required. 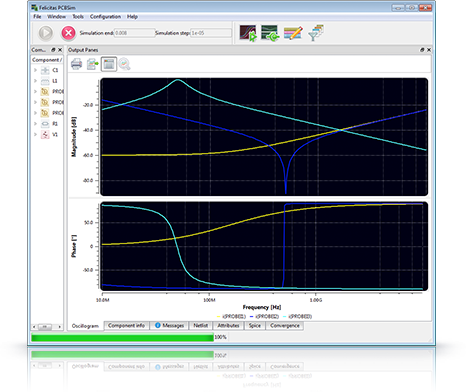 Special components like transmission lines or voltage probes are included in the Felicitas Simulation Library. There is also a collection of predefined shapes which can be used in conjunction with model files (IBIS or s-parameter). There is a huge amount of Spice models available from almost all vendors of electronic devices. Unfortunately, these models are written for different simulators and for different versions of the simulators. Felicitas PCBSim is able to use most of these 3rd party models with the aid of the Library Editor. 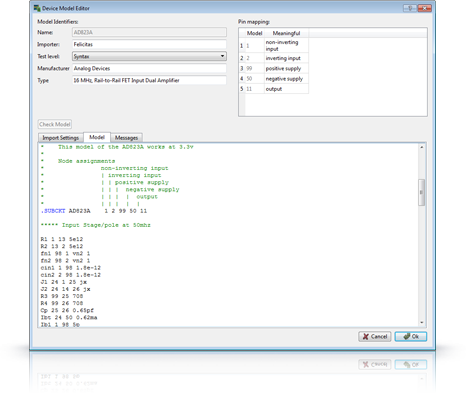 The Library Editor handles two versions of each model: the original one (supplied by any 3rd party) and the FSpice version, which is suitable for the simulation with Felicitas PCBSim. Especial care has been taken to be able to use models originally written for Cadence's PSpice®. The Library Editor is able to convert the original model in most cases automatically to the FSpice model. Furthermore, it even parses the comments inside the model to retrieve meaningful pin names from it. This greatly simplifies the assignment of models to schematic shapes. 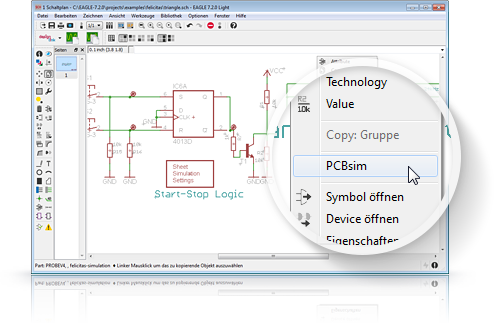 The Library Editor is an integral part of Felicitas PCBSim and is included in each available package. It can be a tedious task to import a collection of models from a third party. The Spice Model Importer greatly simplifies this work. It is able to scan a single file which contains a possibly huge number of models or a whole set of files in a directory. It automatically converts the original models to models suitable for the use with FSpice, the integrated Spice Simulator. The models are automatically sorted into library files, which can then be further edited with the Library Editor. Search pattern allows it to automatically retrieve certain information from each model, for example the Zener voltage of each model in a collection of models for Zener diodes. 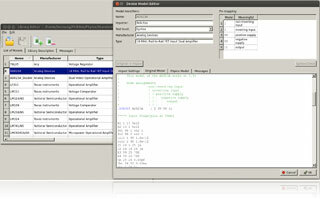 The Spice Model Importer is included in the Professional Package and in all Signal Integrity Packages. These technologies often use low voltage signals with tight timing margins. Designing systems without thorough simulation requires luck or a number of re-spins. Felicitas PCBSim's Signal Integrity Packages contain up to 3 special modules which allow to simulate high speed digital designs for Signal Integrity. It is very important to account for frequency dependent losses and frequency dependent delay times especially with highly lossy material like FR4. 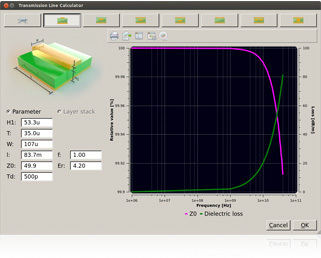 Felicitas PCBSim includes a state-of-the-art calculator which quickly determines the frequency dependent characteristic of the most commonly used transmission line types. The calculator determines the properties of transmission lines based on the geometry and the PCB material in use accurately and quickly. A simulation model is created which does reflect all calculated properties in a wide frequency range. For a quick initial test, it is also possible to use generic parameters (characteristic impedance and constant delay time). This allows a system to be simulated without any losses. For connectors and sockets the vendors usually supply simulation models as s-parameter files in Touchstone format. Those files contain simulated or measured frequency domain data for a wide frequency range. 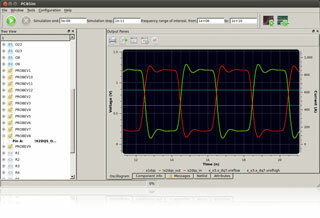 The S-Parameter Editor can handle data of S- Y- or Z-parameters as well as mixed mode data (used for differential signals). Felicitas PCBSim contains a complete vector fitting algorithm which very accurately creates transfer functions which match the input data precisely. The detected poles of the transfer function can be visualized. A special plot shows passivity violations. The S-Parameter Editor is able to eliminate unused ports from the model. Those ports can be treated as opened, shorted, or terminated. The created model can be checked for passivity violations and, if necessary, corrected. They are by design causal, that is, they do not produce output signals which anticipate the input signal. All functions are readily available through a user friendly GUI. Special attention has been paid to represent the data in easy to read diagrams. The model creation process can be done with a single button or step-by step. The later might be of interest for the simulation of active parts. Here the passivity enforcement would not be desired. 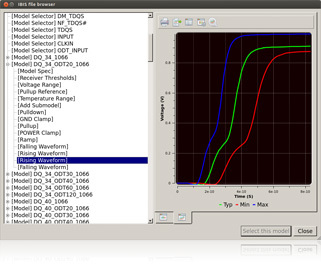 The integrated FSpice engine has special functions to directly simulate the created models. IBIS models are readily available from all major semiconductor vendors. They describe the behavior of integrated circuits without exposing any internal design details. PCBSim is compatible to IBIS file of version 5.1 or lower see PDF document. IBIS files are converted to a format suitable for time domain simulations. As with the s-parameter files, a flexible pin mapping allows simulation of any number of signals in a single simulation run. Can I use Felicitas PCBSim on several computers? Yes, you can install it on any number of computers. Only the one which has a valid Dongle can simulate. Can I use Felicitas PCBSim on one computer with Windows and on the other with Linux? Yes, the Dongle is not operation system specific. Our licence conditions state, that we are only obliged to support questions for one operation system. But as long as there are no questions which are specific to more than one operation system, we don't care. Is the licence a perpetual license? Yes, the normal licences are perpetual. Only the special "lease" licences are for a certain time period. 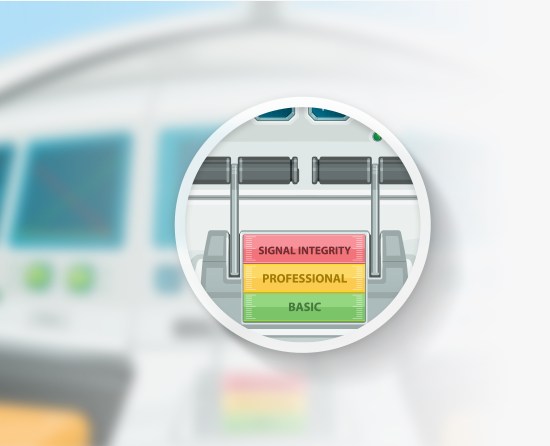 What is the precondition to lease the Signal Integrity Part of Felicitas PCBSim? You have to have a valid "Basic" or "Standard" simulation licence with valid software maintenance. Is there an extra charge for software maintenance? Yes, it is 15% of the list price. The perpetual licences include the first year of maintenance. The lease licences are always coming with valid software maintenance. Is there a student licence available? Yes, for the "Basic" and "Standard" package we have student licences. They must not be used for commercial tasks. Otherwise, they are fully featured. Which Spice engine is used with Felicitas PCBSim? It is a fork of the original 3f5 code from Berkeley. We have made quite a number of bug fixes and have added extensions for the simulation of IBIS and s-parameter data. Is there a limitation in the number of components to simulate? Only for the "Basic" version there is a limitation to 100 components. The type of component does not count. So you can have 80 integrated circuits and 20 diodes, if you like. All other versions have no limitation but the available memory and the time it takes to simulate. How can I use 'fancy' components in my simulation? You can always write a subckt model and use the library editor to create a simulation model from it. This model can then be assigned to any schematic shape or any library component. Which models can Felicitas PCBSim use? Almost all models which are labelled "Berkeley" can be used. Most models for PSpice can be used, if they are not encrypted. Many models from LTSpice can be used if they are not encrypted (we do not yet support some special extensions from LTSpice for operational amplifiers, this will follow). Other Spice syntax flavours often work as well. The library editor of Felicitas PCBSim will automatically convert many different syntax variants. If you run into an error, please send us your original model and we will have a look at it. So, you do not have to manually convert the different syntax variants. 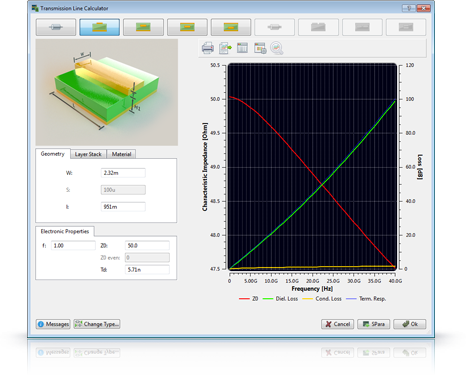 Why are the simulation models from vendor XYZ not included in Felicitas PCBSim? Many vendors do not allow to redistribute their models. We try to get the permission to redistribute from as many vendors as possible. If you feel you have a model which can be redistributed and want to have it checked, just send it to us. Will Felicitas PCBSim be available for other CAD systems? Yes, we are planing as next step the support for Altium. Is the licence of Felicitas PCBSim valid for other CAD systems as well? Yes, although there might be an extra charge for the interface (the interface to CadSoft EAGLE is free). Can I integrate Felicitas PCBSim in my development environment? Yes, there is a well defined interface between Felicitas PCBSim and the CAD system. It is also fairly simple to implement. Please ask us for the current interface specification. Does Felicitas PCBSim take the geometry from the actual layout? Currently not, although we will support that in future. The transmission line parameters are calculated from so called generic data. That is, you would enter for example the width of a trace into Felicitas PCBSim. It will not (yet) be taken directly from the layout. Is the simulation at all helpful before I have done the layout? Yes, it is extremely helpful. Most issues can be identified and rectified in a very early design stage (for example: configuration of inputs and outputs, characteristic impedance of the tracks, maximum deviation in length between the tracks, configuration of the additional termination (if any), possibility to use a certain socket or connector, ...). The result of a simulation in a very early design stage is a detailed input to the layout engineer. How accurate is the simulation based on s-parameters? Depends. If we have accurate s-parameter data available from the vendor, the simulation is simply exact. It covers all important effects like crosstalk between lines of a connector, propagation delay, reflections and so on. Sometimes the s-parameter data are poor. They have for example only very few frequency points or they are strongly noisy. In this case, the simulation can only be as good as the s-parameter data. We try to compensate in a number of ways, but sometimes it is just better to choose a different vendor with more accurate data. I see a huge number of possible models in the IBIS file of my integrated circuit. How do I know which one I have to choose? The models are sorted according to the pin. So each pin can only have a certain number of possible input / output models (that is configurations). Still this number can be very large (especially with FPGAs). The information, which configuration should be used for a certain application should be in the data sheet of the integrated circuit. Unfortunately, it is often well hidden. Sometimes it is the best to look in the data sheet for a selection of likely models and then just simulate all the models which seems to be suitable and pick the best. The input / output configuration is later selected by software (for microcontrollers) or firmware (for FPGAs). Request price information for the PCBSim. Within minutes we will send you an automatic created e-mail with a download link for the demo version. Yes, I agree to be informed by Felicitas about new offers and further interesting information by email or other means. I can redraw my consent any time. See also	Data Privacy Statement. Thank you very much for choosing Felicitas PCBSim. After completing the order process, we will send you an order confirmation and invoice. Our Software is protected with a copy protection device ("Dongle"). You will receive this Dongle together with download instructions for Felicitas PCBSim. The Dongle is independent of the operation system. Felicitas PCBSim can be installed on any number of computers the licence holder owns. Only computers with valid Dongles attached can use it. Please add a student ID. Like "Professional", but without the "Spice Model Importer" and the "Device Set Editor". Limited to 100 components in one simulation run. Support requests from owner of higher versions will be answered first if they are urgent (otherwise on a "first-come-first-serve basis"). Complete simulator without the Signal Integrity packages (Transmission Line, S-Parameter and IBIS). Includes the "Spice Model Importer" and the "Device Set Editor". Not limited in the number of components to simulate. Not for commercial use. Same functionality like the underlying packages ("Basic" and "Professional"). We will try to respond to any support requests from Student Versions also, but can't guarantee that in all cases. Shipment is 45€ to the United States, 25€ within the European Union and free to Germany. For other regions it is 45€, but subject to confirmation in our order confirmation / invoice. * I agree to the General Terms and Conditions. I can redraw my consent any time. See also Data Privacy Statement. We will send order details and invoice to your email.